LABELLE, Fla. — Tsamma, a leading cold-pressed watermelon juice, is proud to announce that they are helping to hydrate the Jacksonville Jaguars this season, kicking off Sunday, September 9. 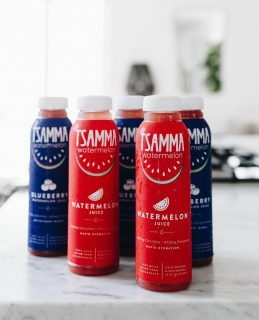 Tsamma’s cold-pressed watermelon juice, launched in 2014 by Frey Farms, has been a favorite of athletes and fitness enthusiasts for its performance, hydration and recovery benefits. The Jacksonville Jaguars are considered one of the home teams for Tsamma and Frey Farms, which grows a large percent of their watermelons in Florida. For the past few years, Tsamma has been working with collegiate teams, like the University of Alabama and Clemson. The University of Alabama football program sought out Tsamma Juice last year after learning of a study on the company’s watermelon juice, which is being led by the University’s HumanNutrition Department. The study focuses on the effects of L-citrulline, an amino acid most known for its use as a sports performance and cardiovascular health supplement. Researchers have shown that the amino acid L-citrulline (found in watermelon) improves oxygen uptake and high intensity exercise performance in recreational athletes. Moreover, they have found that it helps with post-exercise muscle soreness. Every bottle of Tsamma watermelon juice contains high levels of Potassium, Lycopene and L-Citrulline, making Tsamma the perfect athletic recovery beverage for those looking to hydrate naturally. Tsamma juice can be found at retailers such as Publix, The Fresh Market, Schnucks and Harris Teeter, found in the produce section.